"Great no-cook sauce for chicken or pork. Make 24 hours before serving for all flavors to develop." Stir mustard, honey, vinegar, ketchup, brown sugar, Worcestershire sauce, and hot pepper sauce together in a non-reactive bowl; pour into jars and seal tightly. Refrigerate sauce to let the flavors blend before using, at least 24 hours. Store refrigerated in a tightly sealed jar for up to 2 weeks. Very sweet and tangy - I think this will be great on grilled chicken! Super easy and delicious. Will definitely make again. 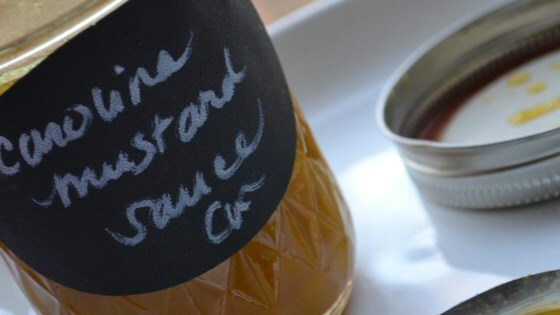 I made this to use on pulled pork sandwiches and got rave reviews! I also used it on a veggie omelet and it was delicious.